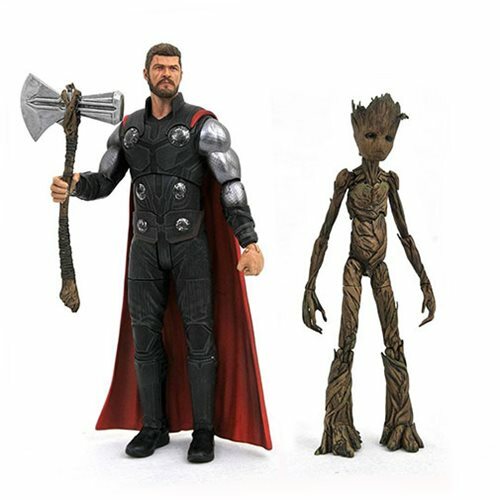 The Marvel Select Avengers: Infinity War Thor Action Figure features approximately 16 points of articulation and interchangeable parts and accessories, plus a poseable figure of an adolescent Groot, from the Guardians of the Galaxy! Packaged in the full-color, display-ready Select packaging, with side-panel artwork for shelf reference. Sculpted by Gentle Giant Studios! Ages 8 and up.